The Western Klamath Restoration Partnership identfied six conservation target areas of highest priority for group collaborative restoration. The improvement of these six target areas or shared values focus the restoration activities undertaken by the WKRP and guide the processes under which these activities are planned and implemented. 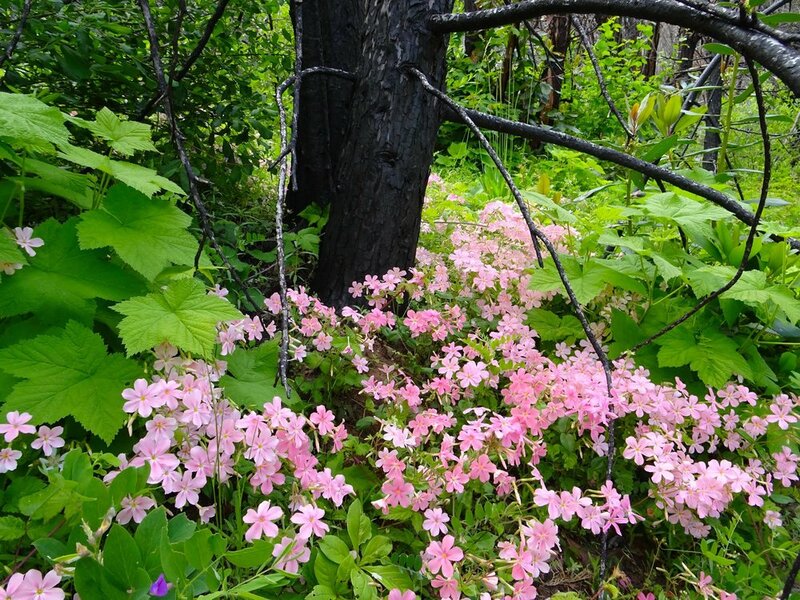 The Western Klamath Restoration Partnership (WKRP) seeks to build trust and a shared vision for restoring fire resilience at the landscape scale. The past century of fire exclusion has severely impacted water supplies, forest health, communities, cultural resources, and threatened species throughout the Klamath Mountains and beyond. This Partnership has allowed diverse stakeholders to come together to accomplish work by identifying Zones of Agreement where all parties agree upslope restoration needs to occur. Together, we created a plan for restoring fire resilience at the landscape scale, founded upon Traditional Ecological Knowledge (TEK) and practices and concepts outlined in the National Cohesive Wildland Fire Management Strategy. This plan incorporates ecological, economic, social and cultural values spatially across a 1.2 million acre landscape to determine where restoration treatments would yield the most beneficial results with the least amount of impacts . WKRP is a collaborative land and fire management effort between Tribal, Federal, and Non-Governmental (NGO) stakeholders in the Western Klamath Mountains of Northern California. It is based on 20 years of collaborative work between diverse partners, ultimately forming the WKRP in 2013. The Western Klamath Restoration partnership began in 2007, focusing on in-stream fish habitat restoration of the Middle Klamath River sub-basin. It became a 1.2-million-acre upslope restoration collaborative incorporating an “all lands” approach to address threats to people, property, cultural and natural resources at risk of high-intensity wildfire . Since then, the WKRP planning area has been refined to include the entire Salmon River watershed, a portion of the Middle Klamath River sub-basin between Weitchpec and Seiad Valley, and parts of the Siskiyou, Marble Mountain, and Trinity Alps wilderness areas. It spans two national forests—the Klamath and Six Rivers—and includes the communities of Weitchpec, Orleans, Somes Bar, Forks of Salmon, Cecilville, Sawyers Bar, Happy Camp, Seiad Valley, and much of the Karuk Tribe’s ancestral territory. Historically, the Western Klamath Mountains experienced fires every 3 to 10 years. Fire suppression over the last 100 years has resulted in a fire deficit that the WKRP is working to mitigate. A hallmark of the partnership is the Karuk Tribe’s knowledge of fire, passed down from generation to generation. This “traditional ecological knowledge” (TEK) shows us that traditional human/fire relationships of our past can guide the strategies of our future. While the Karuk Tribe and the US Forest Service are co-leads for the collaborative group, many stakeholders, communities and organizations are involved. Partnership activities currently revolve around three geographic focal areas and strategic riparian restoration activities. Within these areas, the group explores multiple strategies across boundaries, on behalf of the group’s vision, values and guiding principles.